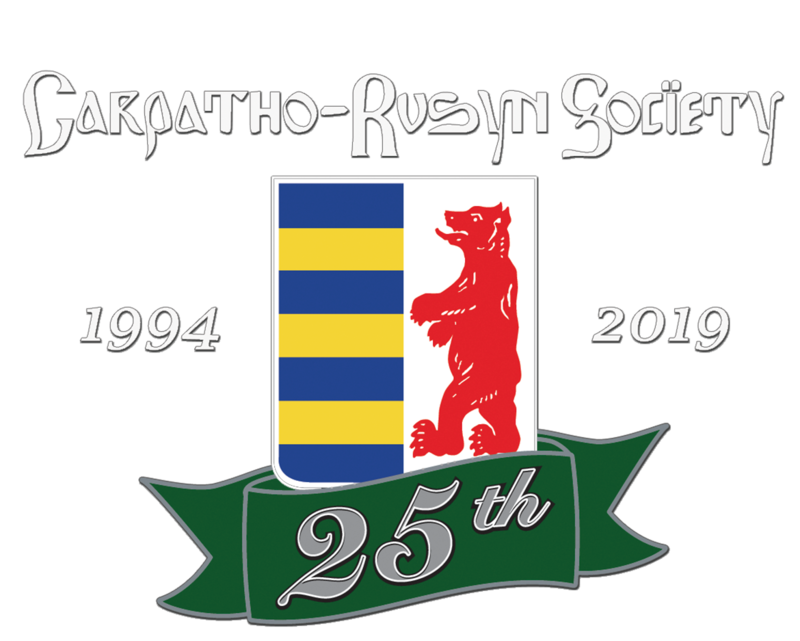 The purpose of the Carpatho-Rusyn Society is to sustain, as worthy of preserving and perpetuation in their own right, the distinct culture, history, language, and heritage of the Carpatho-Rusyn people. With this worthwhile cultural activity as our aim, we shall work to collect, preserve, and disseminate historical, genealogical, linguistic, and ethno-cultural information about Carpatho-Rusyns. We hold in high esteem the continuity of life which connects the living Rusyn culture to its treasured and ancient heritage. We, therefore, seek to nurture the expression of this knowledge and opportunity to learn, express, share, and enjoy the beauty and life affirming values of a living Rusyn heritage.